Smaller organizations will receive more money from the Regional Arts and Culture Council. 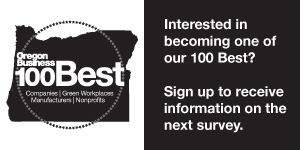 Business for a Better Portland attracted 300 members in a year and a half. Tax-code changes put nonprofits in a bind. Nonprofits are facing declining trust in public and private organizations. Crowdfunding blurs the lines between donation and investment. How the forests of Borneo are breaking down silos among well-known Oregon institutions.